It appears that new snippets (.PNG) files uploaded to lavag are having their meta-data sanitized. 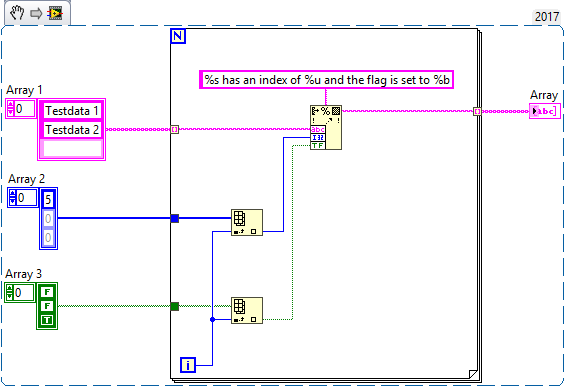 This removes the actual code from the snippet and makes it unusable for drag-and-drop to the block diagram. Old post, but I am having this problem, too. How does one post a snippet anyway? I've tried attaching them to the post, but they get resized, and the embedded code is stripped away. Not a very good feature for the premier independent LabVIEW web forum. Is there some other way to add a PNG to the message without attaching it, or clicking the "add to post" button? Why does it shrink the image all the way down to a thumbnail? Most monitors today are huge, with wide aspect ratios, and plenty of resolution. Why not upload the PNG "as is"? Most snippets are below one screen in size, and any that are larger will get "resized" for display by the browser. Being able to share snippets without the code getting stripped would be a good thing. I think I reproduced the steps you took, but I came to a different result. I posted a reply using the More Reply Options which is also known as the full editor. From there I picked the file by clicking on Choose File. Then I clicked Attach This File. This step might not be needed depending on the version of the uploader that you are using. Then I clicked Add to Post to add it to my reply. I was then able to click the image and get the VI source by dragging the image to my desktop. I wonder if it has to do with the size of the PNG you uploaded. It obviously scaled it which makes me think there is a maximum resolution the uploader accepts. EDIT: Yup just tested it, too large of an image is scaled, I'll let Michael know about his and see if there is something that can be done. Michael worked his magic, that he does so well and things should work now. I tested it on a pretty large block diagram and my browser zoomed out, but the image itself wasn't scaled on the server side, so I could still drag the snippet away and then into my blank block diagram. I use the editor that shows up at the bottom of the thread and the "choose files" link. Using Chrome. Please check again. I think something got changed in the upgrade, but i think i fixed it now. I think something got changed in the upgrade, but i think i fixed it now. Unfortunately it isn't. Can you check again? I was going to be flippant and say "The NI forum has loads" but they don't work either. Attachments (as opposed to inline images) should be fine, apparently. And referenced in that post is my work around. It isn't so much that the PNGs are having meta data stripped, it is that they have a custom image viewer which adds a scaling size. Viewing the raw image still allows snippets. Also downloading the snippet might work too. So, I'm guessing the forum is stripping the metadata on upload now. I reposted that image in this thread by copying the link into the editor box. The box "embedded" the image for me automatically.